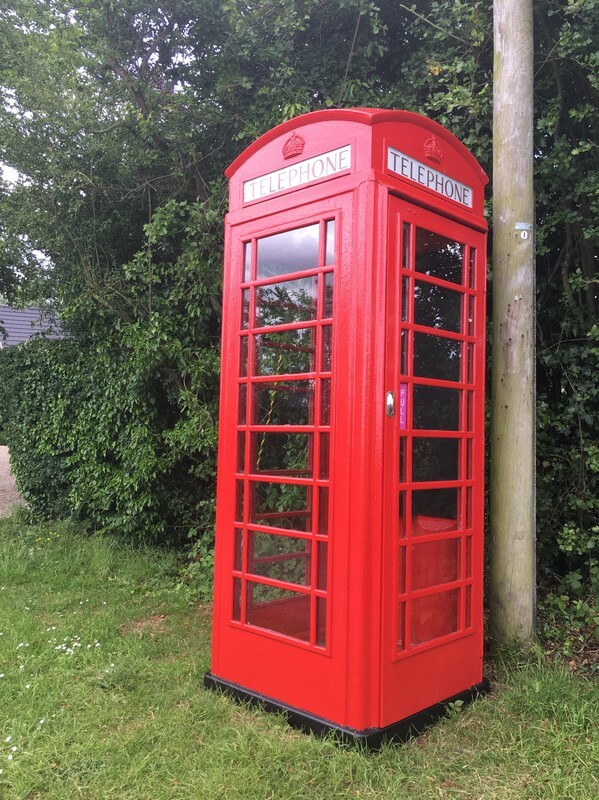 Rather than lose a local landmark, Wingfield Parish Council took up BT's offer of purchasing the telephone box (a K6C from the mid-1950s) when it was decommissioned around 2010. Despite K6 kiosks being worth a lot of money, it cost WPC next to nothing on the basis that it would remain in-situ and not be sold off. 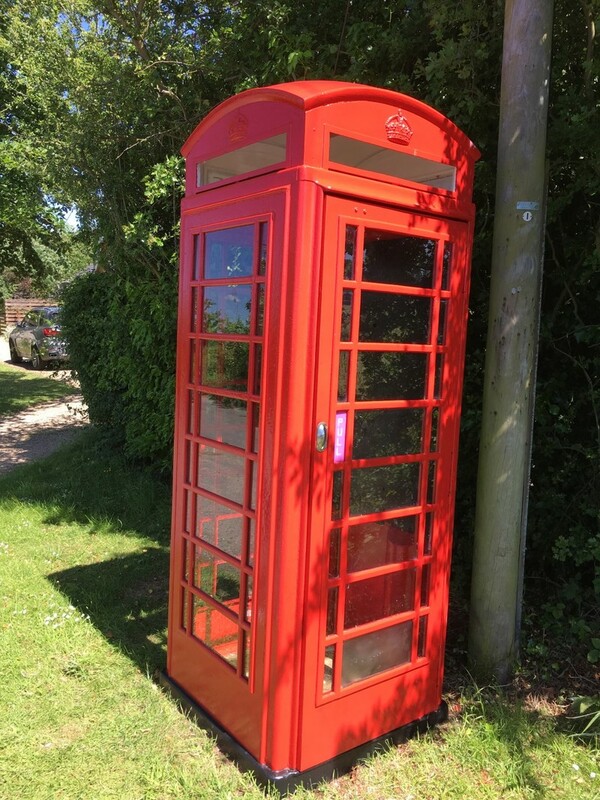 It was already in quite a run-down state by the time BT decided to sell it. 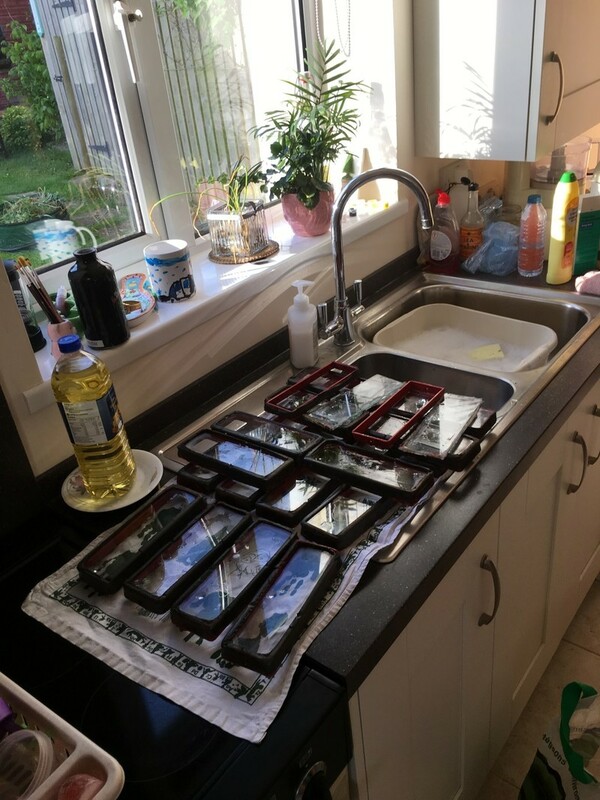 However, it was given a scrub and a local policy has been enacted whereby if any of the windows get broken – and yes, that’s an on-going issue even out here – then they get replaced as soon as possible. Whilst its lean to the rear has made it quite a talking point, nothing else has been done to or for it. 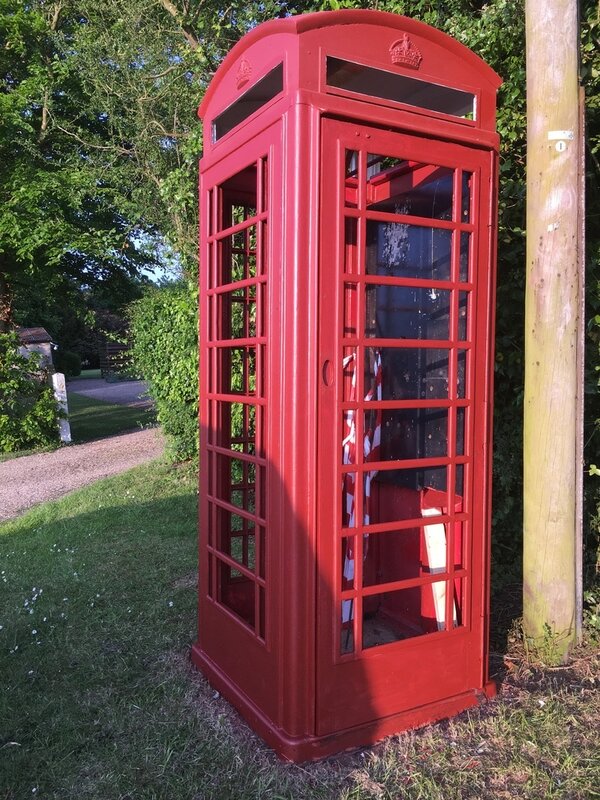 However, during the summer of 2017 it will hopefully look a lot smarter as it has been promised a severe scrubbing and a fresh coat of shiny red paint. Do not let Mrs Chair see what Mr Chair has been doing with the dishwasher! 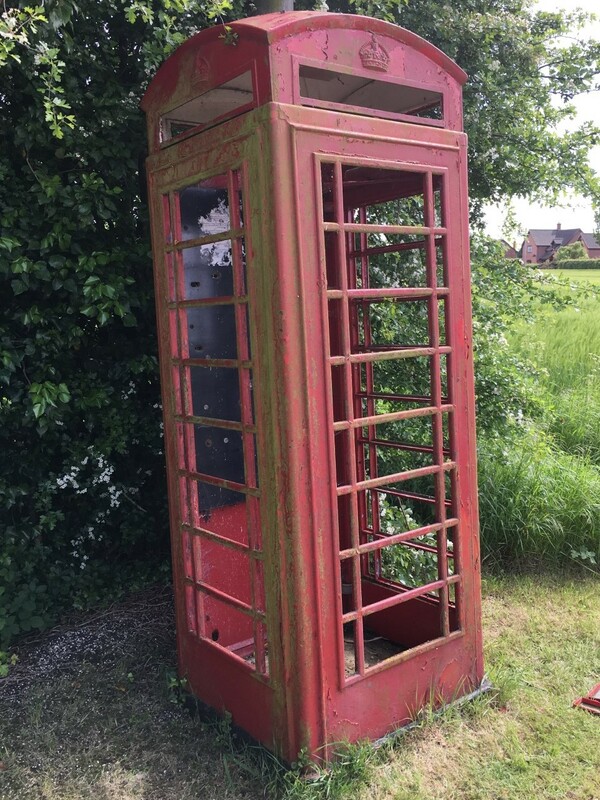 In preperation for this, it has been relieved of most of its glass and these will be scrubbed and cleaned before being refitted once the tedious job of paint removal and application has been completed. Subsequent correction - all of the glass and even the door handle have been removed ready for Mr Paint to get down and dirty with it. The four iconic TELEPHONE plates came out intact; three were plastic, dating from the 80s, and the one from the rear was the original glass item. 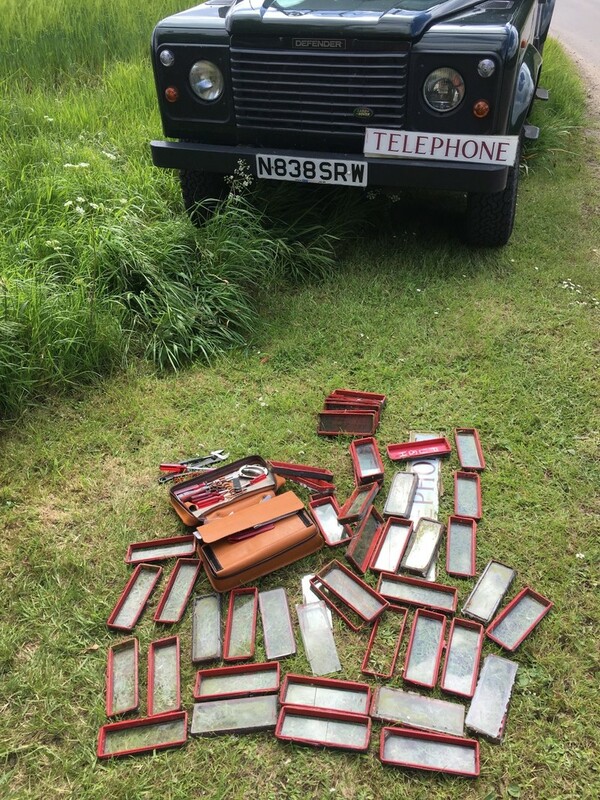 Now they've all been cleaned it's possible to see that a significant proportion of the glass panes - 75% or so - are the original 1950s items. The first coat of gloss done. The first time it's gleamed in years. Painting fishished - red, black and white gloss! ... and east - it's finally fully dressed! 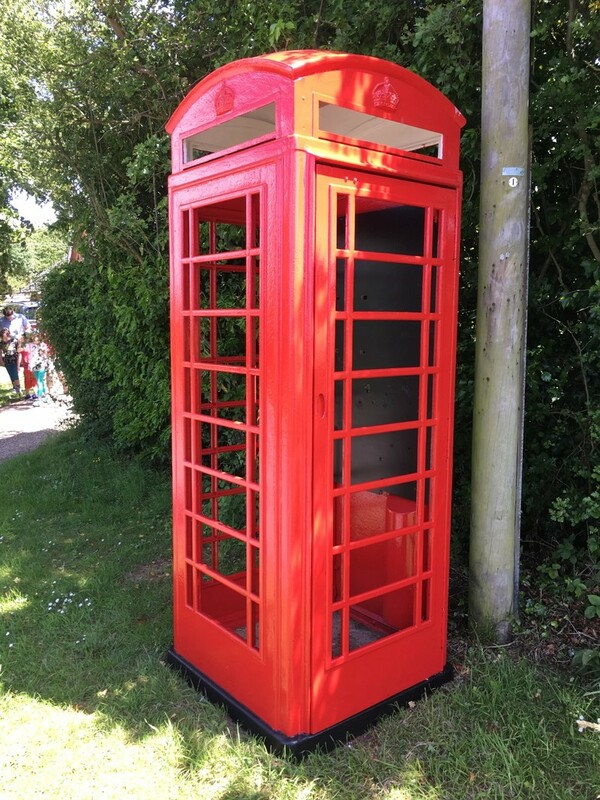 Just in time for Wingfield Open Gardens weekend (24-25th June 2017), the combined efforts of several people of the Parish - let's call them Brian, Mike, Sally, Keith, Zoe and Dennis - have ensured that, as of 15th June, the Wingfield K6 is now fully re-painted, re-glazed and re-strapped. And it's only taken... well, some years. 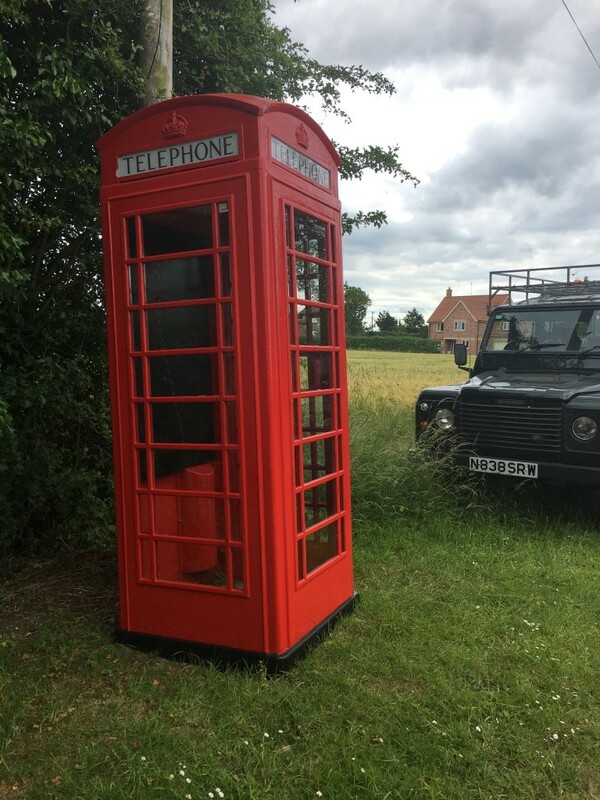 Wingfield now has a telephone box of which it can be proud. But is it just an ornament? 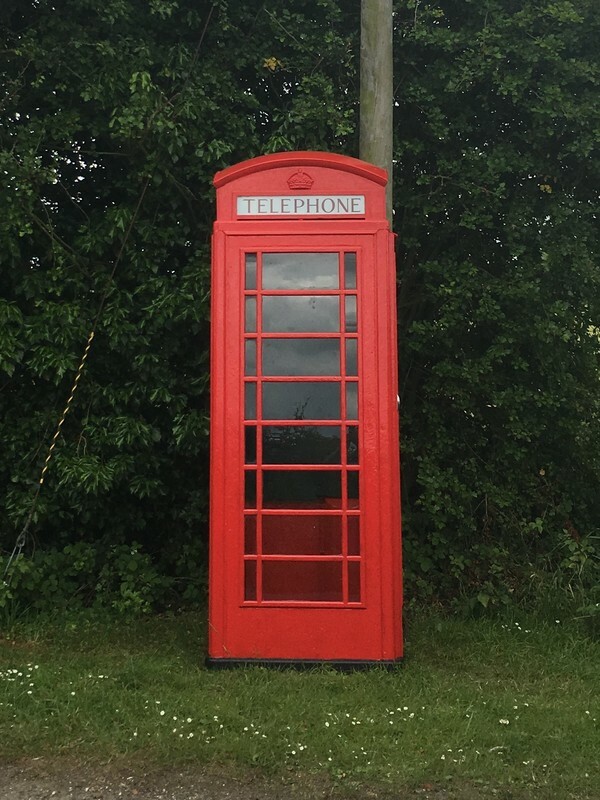 A telephone box that has no telephone in it is, by definition, a pointless piece of street furniture from a past era. Having invested time and money into its restoration, WPC would like to give the kiosk a new purpose in life for the benefit of the village. But what purpose? As ever, local opinion is always the best informed and enthusiastic. As this stage the Council just wants suggestions, not solutions - so suggest whatever seems like a good idea. Use the button below to lodge your idea with us. As Buzby used to say - make someone happy.